Great War Wednesday: They Shall Not Pass! 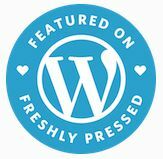 | "Granny Beads and Grocery Store Feet"
Great War Wednesday: They Shall Not Pass! The battlefield of Verdun then. The Battle of Verdun began 21 February 1916 in the early morning hours with the largest artillery bombardment in history up to that point. Over a ten hour period, around 800 German artillery pieces – 22 of which were battleship sized 16.5 inch supercannons – fired about 1,000,000 shells into a 58.9 square mile region with the French fort complex of Verdun at the rough center. Those numbers are too staggering to take in as they are so I’ve worked out a little math, which I hate, to provide some scale for you to consider. The covering fire works out to around 16,000+ shells per square mile, but since some folks — myself included — have trouble visualizing a square mile, so I did some conversion to acres. We Americans LOVE our version of football (which has surprisingly little to do with the feet) so most of us have seen a football field. For my soccer friends internationally, the pitch is close enough to be of no consequence for this exercise. A football field is roughly three-quarters of an acre. The bombardment of Verdun placed 26.5 high explosive shells — many the size of a Volkswagen Beetle — onto an area slightly less than the size of a football field. The Verdun battlefield today, scarred and shellmarked even 100 years on. The bombardment lasted ten hours, but halted around six hours for several minutes. This was a ruse to lure the French defenders out into the open to help the wounded or collect the dead. 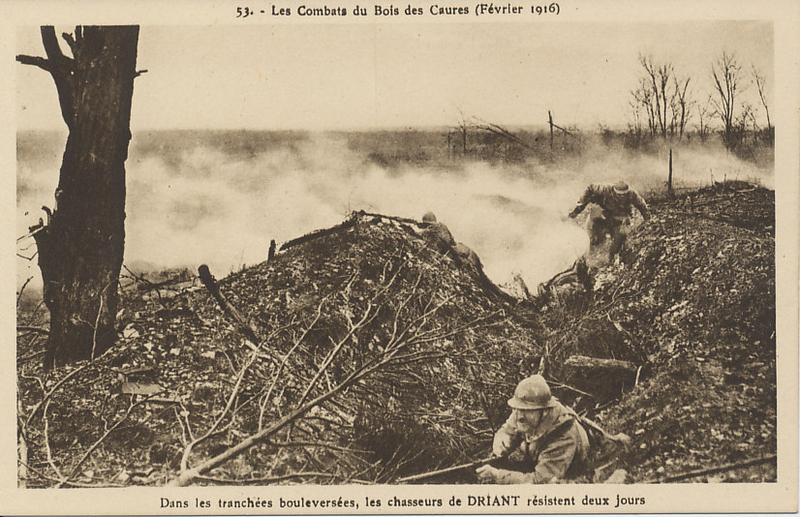 Once the commanders figured enough men had climbed out of the trenches to make it worthwhile, the bombardment opened up again with full intensity. The Germans advanced following the artillery prelude in a style never seen before. Instead of a mass of feldgrau moving across the pockmarked moonscape, the Germans — eerily forecasting the common units of the Second World War — moved out as squads of “stormtroopers.” Most squads had about ten men in them. The guy out front carried what I think is the most terrifying weapon on any battlefield at any time — a flamethrower. No one had used flamethrowers to this point. Following him were troops carrying not rifles but sacks of the “potato masher” grenades. The idea was a squirt of liquid fire would roust out some hapless French survivors and the ones the flame didn’t kill would get the grenades. The tactics worked flawlessly that first day. Thousands of French defenders died with German losses totaling a mere 600. The Germans advanced steadily throughout the remainder of February. They took the east side of the Meuse River as well as several wooded areas. Probably the high point for the Germans came when a small detachment of around 100 men used subterfuge and a tremendous amount of luck to capture the large fortress of Douaumont. When March rolled around, however, the German plan to bleed the French white started to go awry. The main problem the Germans ran into was they expected their unprecedented artillery bombardment would have destroyed any effective French ability to mount their own artillery attack. In fact, most of the French artillery had survived the bombardment and as soon as Generals like Petain could catch their breath long enough, the “Black Butchers” as the Germans called the numerous French 75mm field guns began to beat a bloody tattoo upon the backs of the erstwhile attackers. At that point, Verdun became simply another in the long string of bloodbaths which passed for battles in the Great War. Attack followed counterattack all through the Spring and Summer. Several places changed hands many times. One small outpost village called Fleury swapped occupiers a total of 16 times in around a month’s time. The death knell of the Germans at Verdun came on 1 July 1916 when the British launched their huge Somme Offensive and went sweeping across the German front to the north. This, combined with the successes of the Russian Brusilov Offensive on the Eastern Front demanded a movement of significant men and materiel from the Verdun sector to these other regions to prevent massive breakthroughs elsewhere. Falkenhayn had gambled on the French getting too attached to Verdun which would allow his artillery to chew their infantry up. Unfortunately for him, he managed to get sucked in to his own meatgrinder. Rather than simply sitting back and bleeding the French, the cycle of attack and counterattack the Germans so earnestly desired to avoid settled in and once that happened, French morale, far from broken by the early German success soared as men like General Nievelle lead from the front in some cases. It was he who, upon seeing the success the Germans had in the early stages of the battle, issued the famous order which still rings down through the ages to us, “On ne passe pas!” They shall not pass! The battle ended on 17 December 1916 with the Germans simply pulling back. They left behind 373,882 of their own dead along with 373,231 dead Frenchmen. Wounded, captured, and missing figures would drive those numbers even higher. For his failed gamble, the Kaiser would sack Falkenhayn as the Chief of the General Staff and replace him with the twin headed snake of Paul von Hindenburg and General Erich Ludendorff, the heroes of the Eastern Front. “The Iron Harvest” of Verdun. Shells like these continue to explode and kill after all this time. 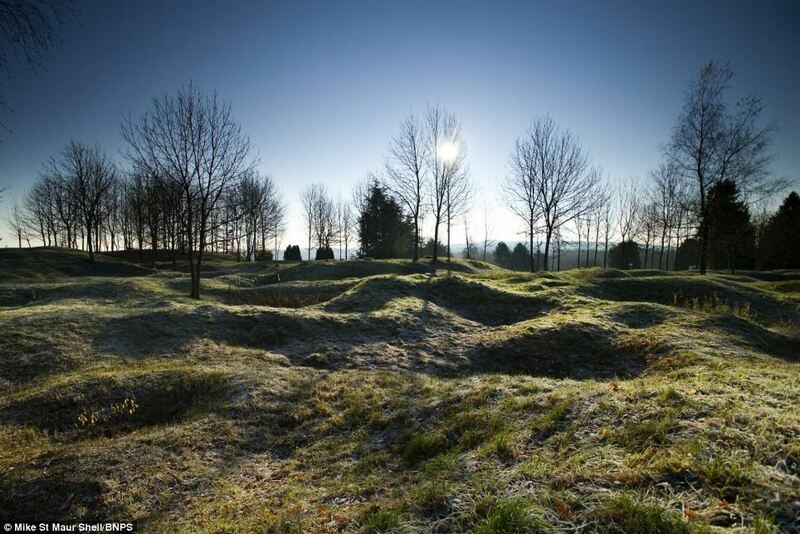 Verdun remains the longest battle in military history by some estimates. The final casualty rolls totaling nearly 1 million ensure it will remain one of the bloodiest as well. 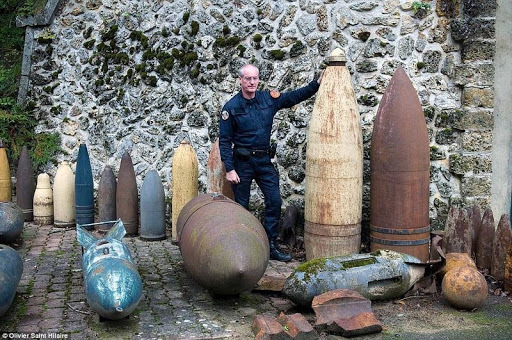 To this day, large portions of the land in and around Verdun are off-limits to all but special units of the French military who each year unearth thousands of “dud” shells which still have the potential to explode and wreak death and destruction 100 years after they first fell. In many ways, death not the least, Verdun lives on. Love y’all and keep those feel clean!